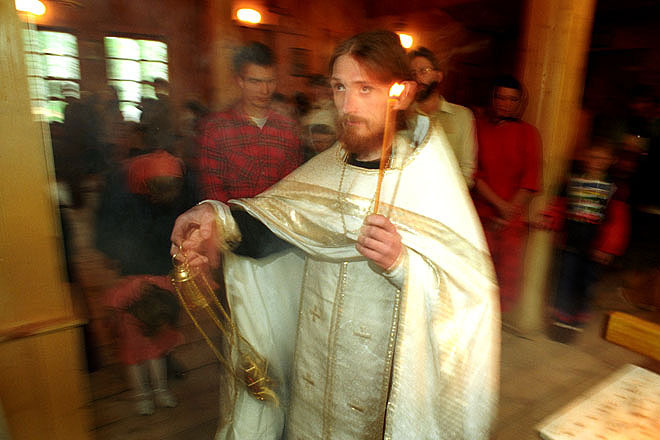 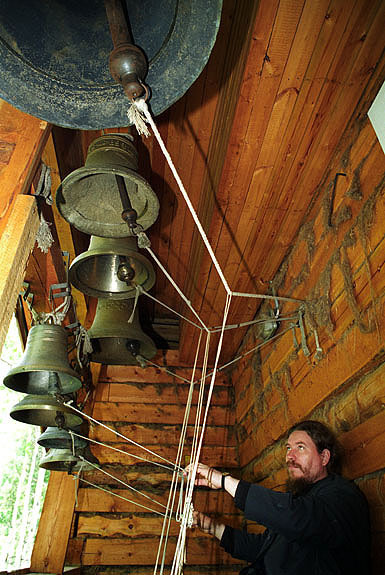 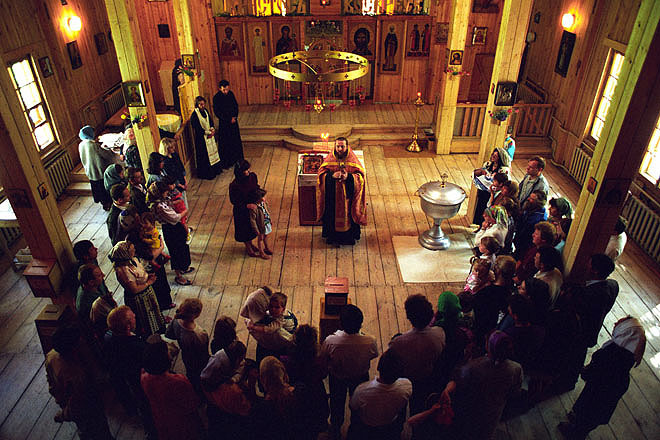 Liturgy in the church of All Saints Glorifying the Russian Land in Akademgorok. 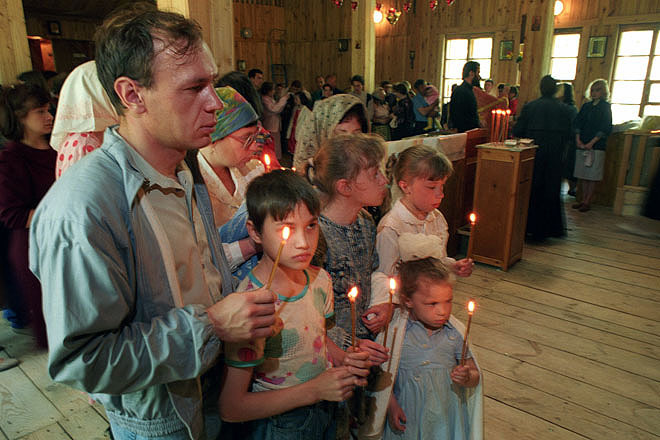 Baptism in the Church of All Saints Glorifying the Russian Land in Akademgorok. 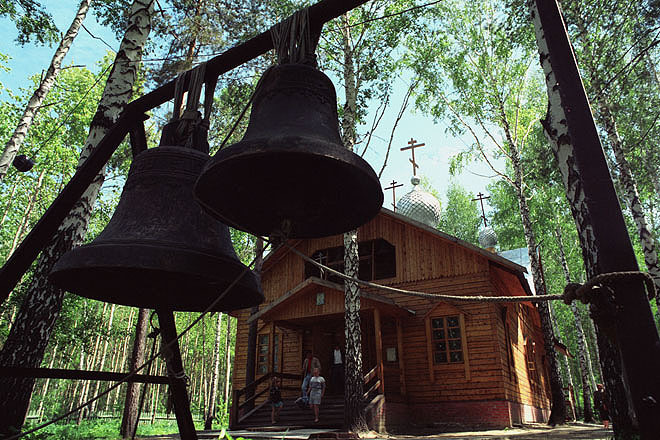 The Church of All Saints Glorifying the Russian Land in Akademgorok. 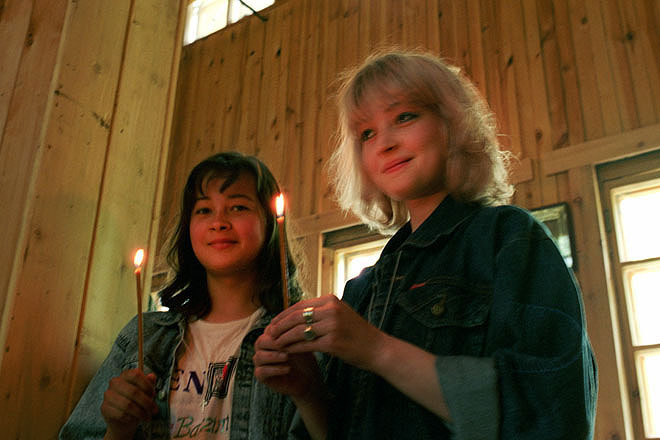 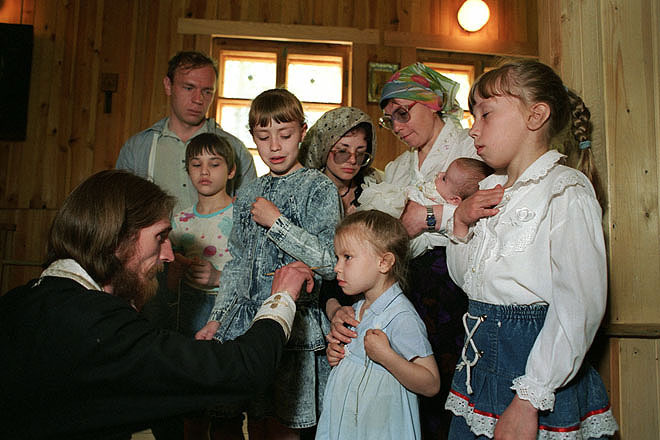 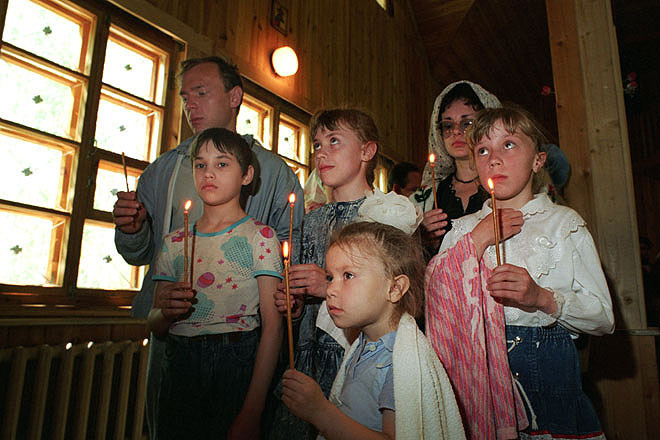 A small girl makes her first confession to the priest in the Church of All Saints Glorifying the Russian Land in Akademgorok. 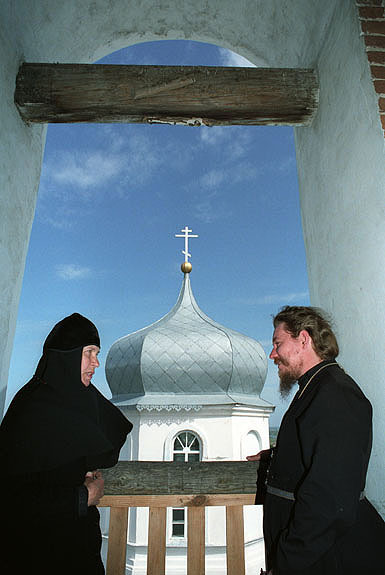 Mother NAJESTA and Archpriest Boris PIVAVAROV in front of the Church of All Saints Glorifying the Russian Land in Kolyvan, a small town 50km north of Novosibirsk. 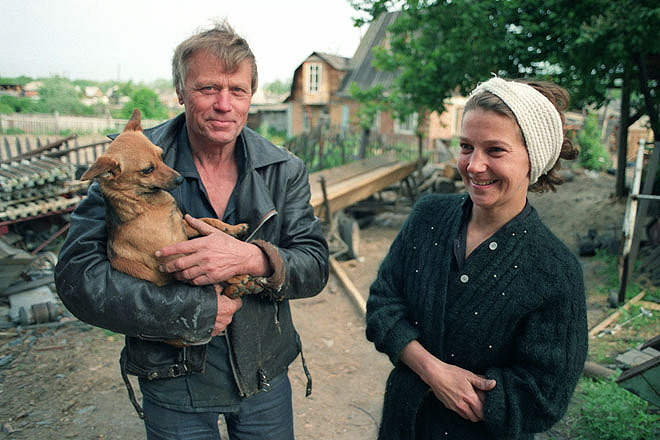 Carpenter and his wife in a small village on the outskirts of Akademgorok. 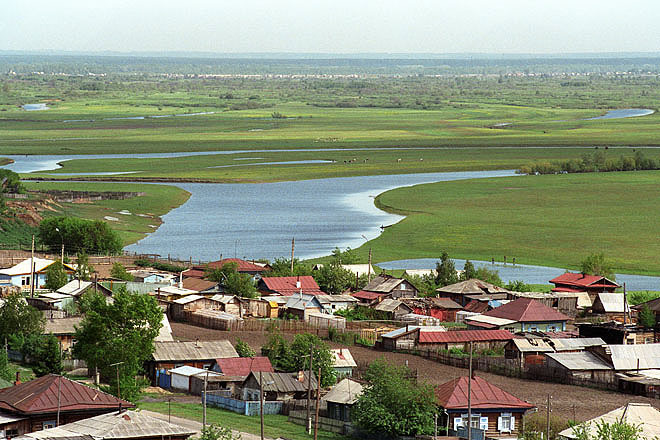 Kolyvan, a small town 50km north of Novosibirsk. 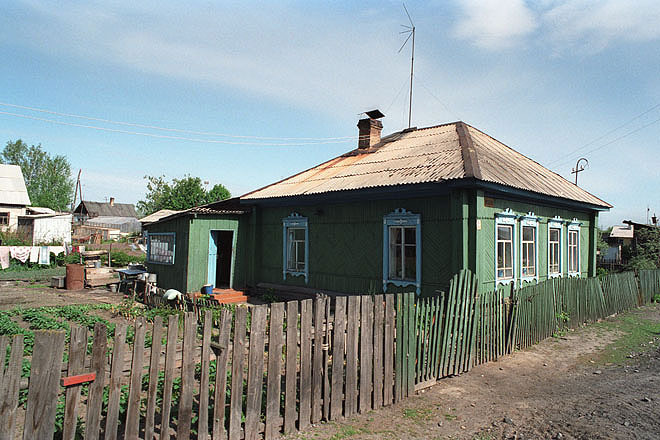 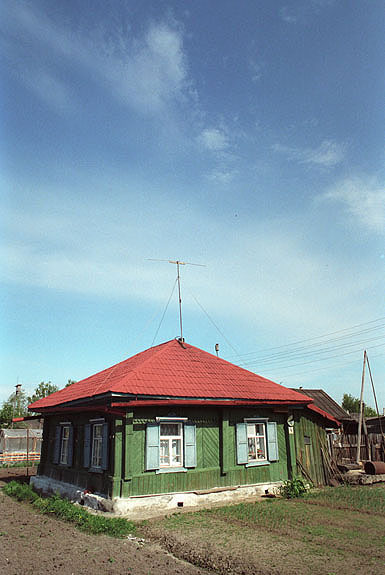 A small village on the outskirts of Akademgorok. 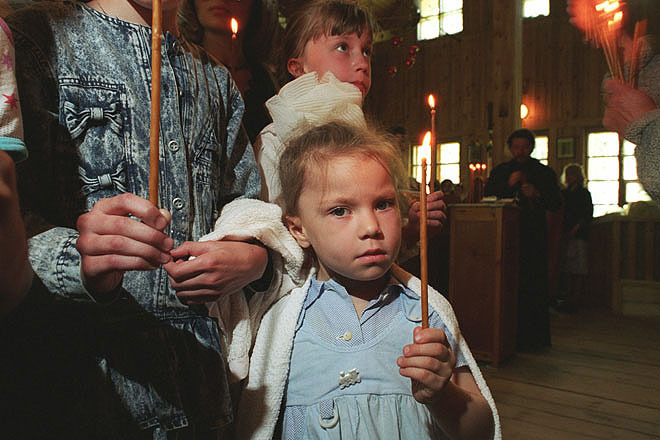 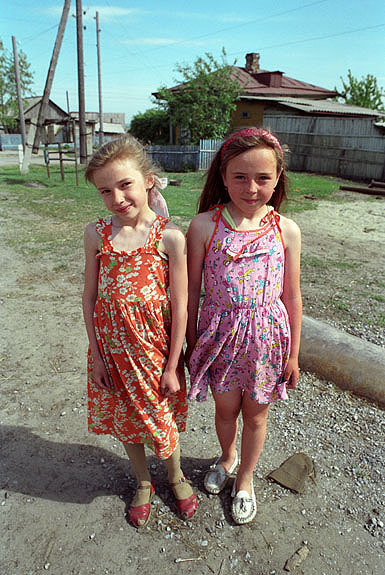 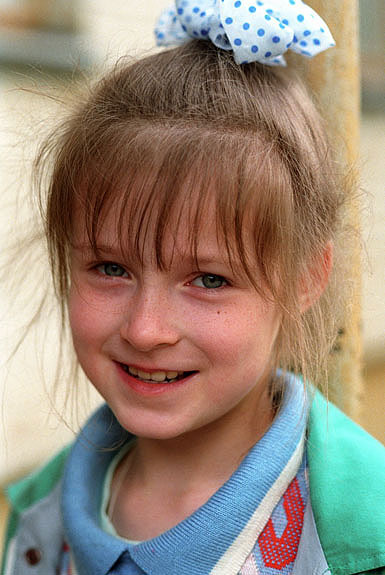 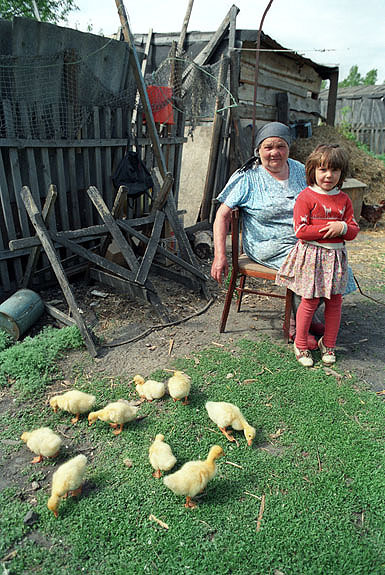 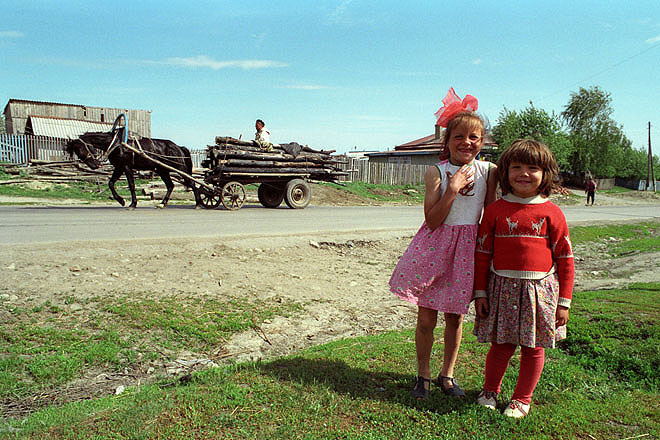 A small girl at the Orthodox school in Akademgorok.